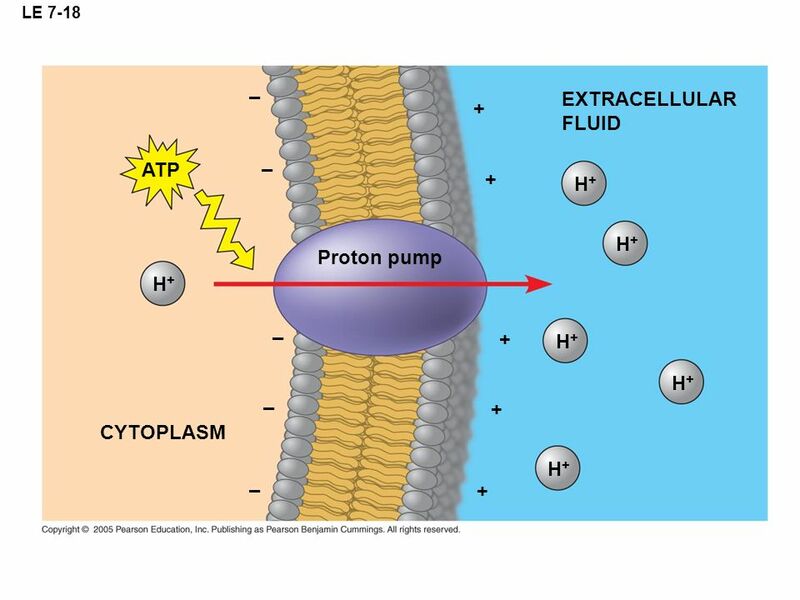 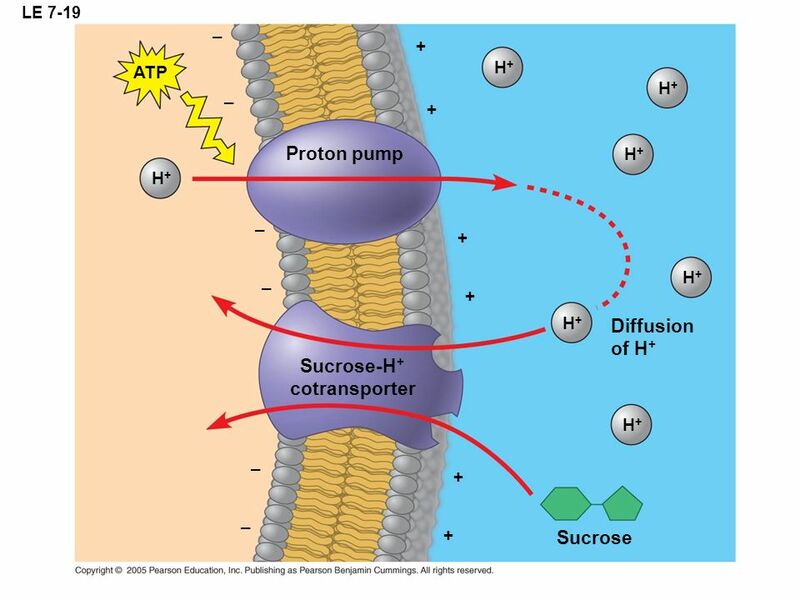 EXTRACELLULAR FLUID [Na+] high [K+] low Na+ Na+ Na+ Na+ Na+ Na+ Na+ Na+ [Na+] low [K+] high ATP P Na+ P CYTOPLASM ADP Cytoplasmic Na+ bonds to the sodium-potassium pump Na+ binding stimulates phosphorylation by ATP. 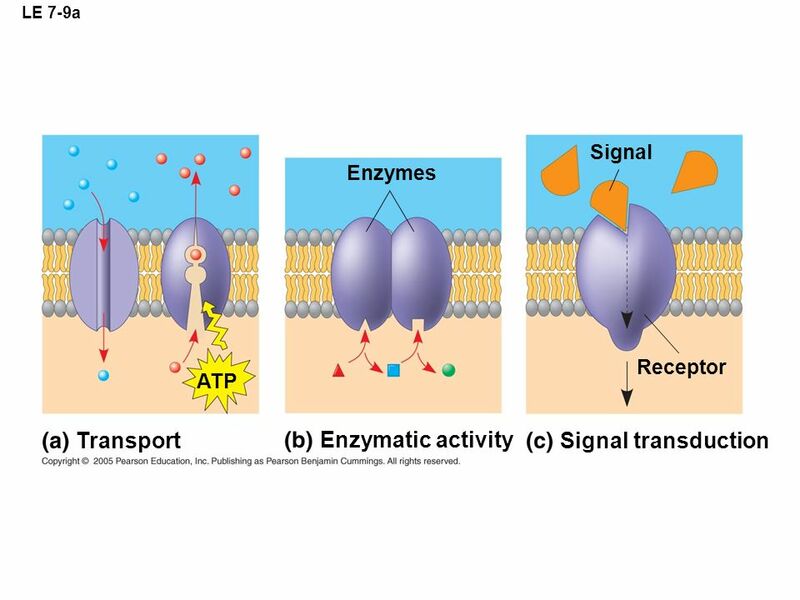 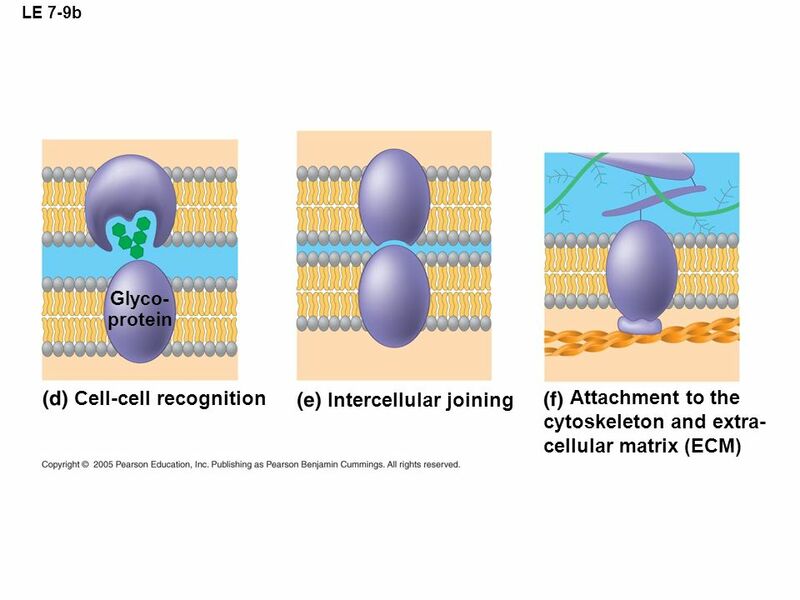 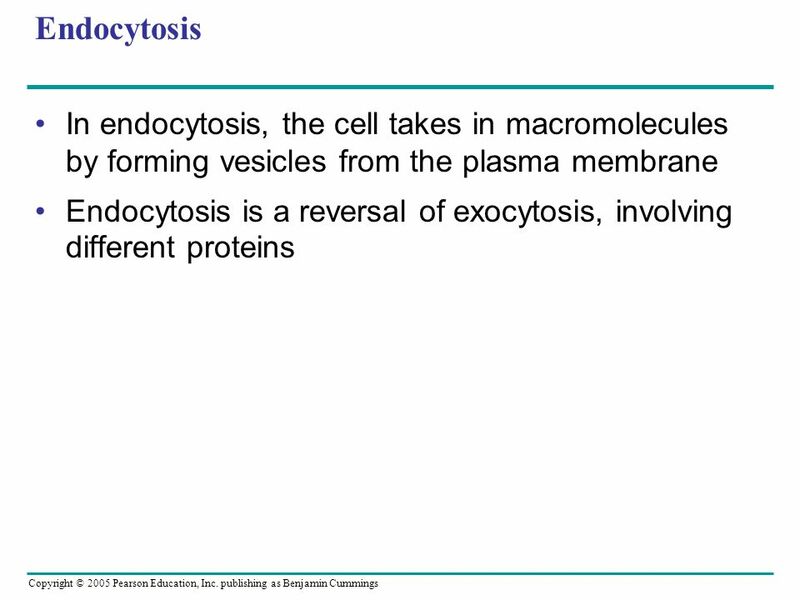 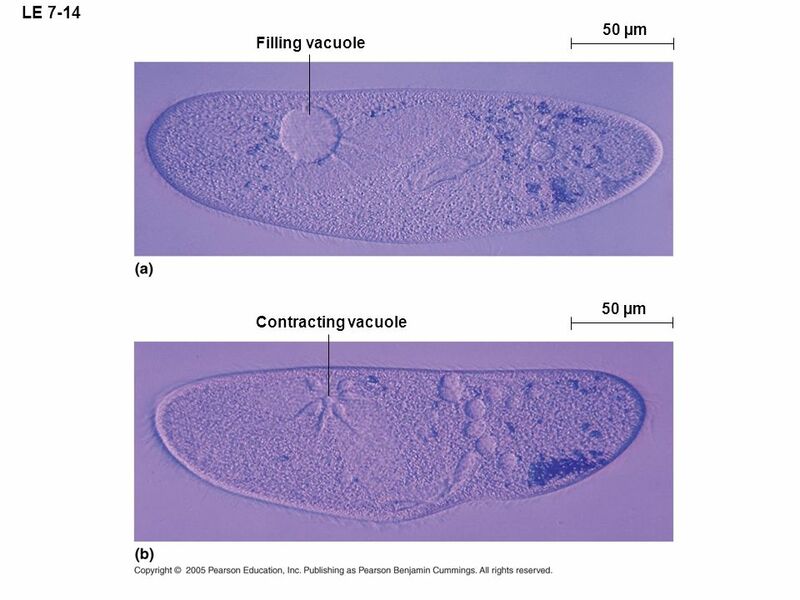 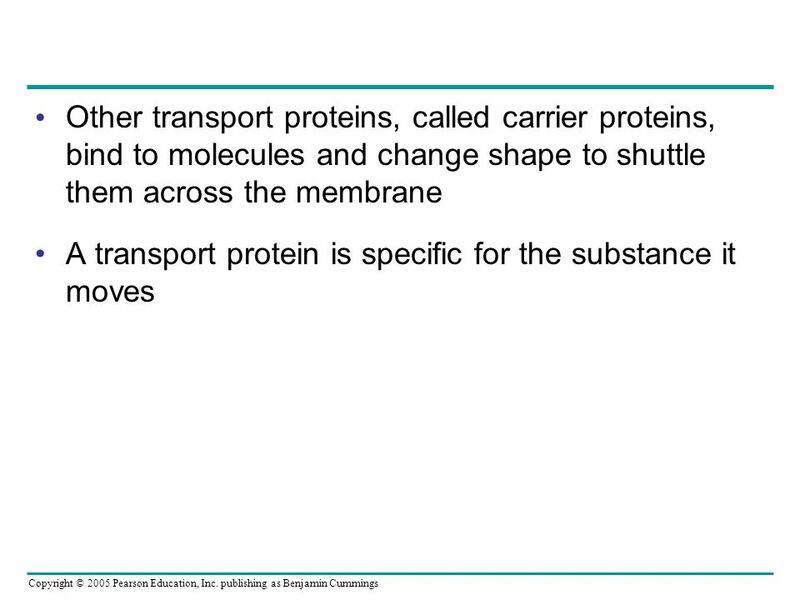 Phosphorylation causes the protein to change its conformation, expelling Na+ to the outside. 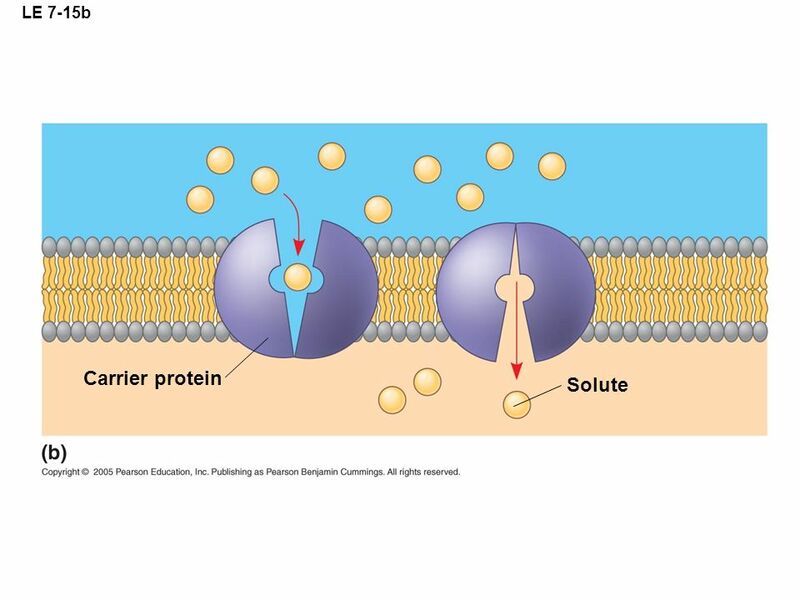 K+ K+ K+ K+ K+ P P K+ Extracellular K+ binds to the protein, triggering release of the phosphate group. 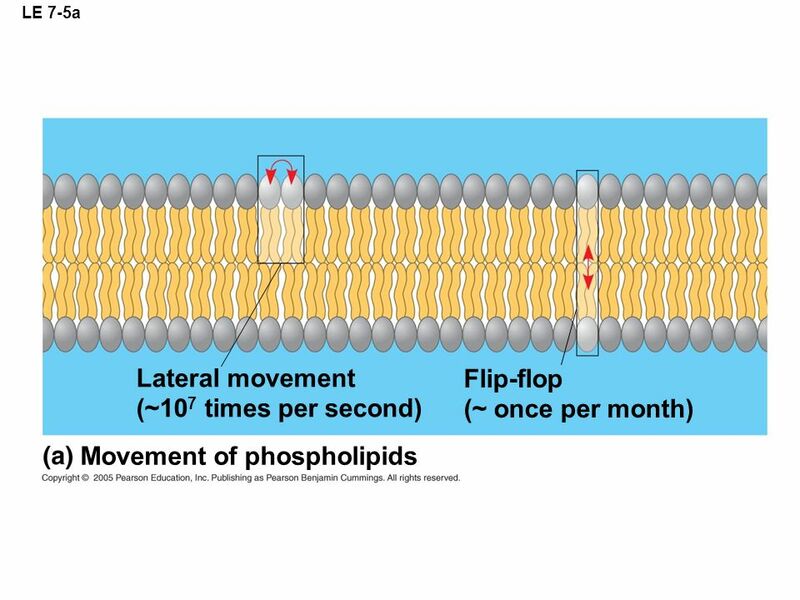 Loss of the phosphate restores the protein’s original conformation. 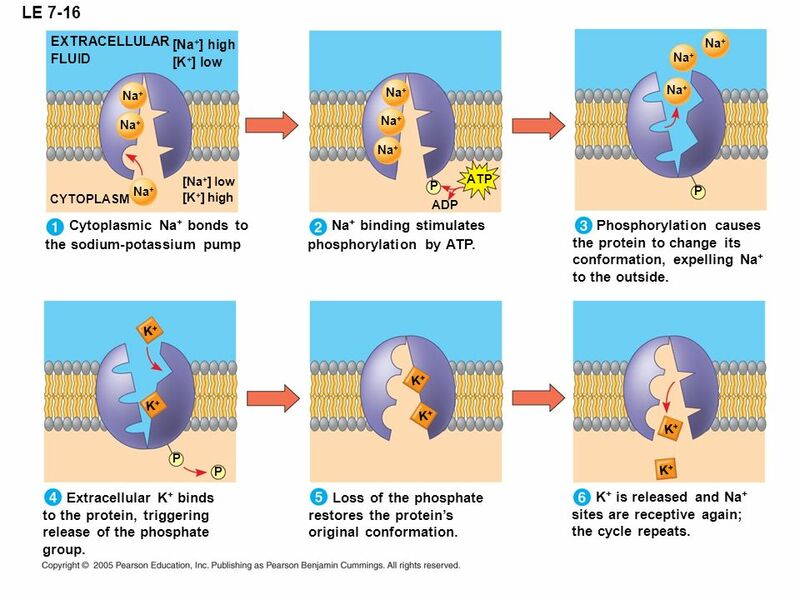 K+ is released and Na+ sites are receptive again; the cycle repeats. 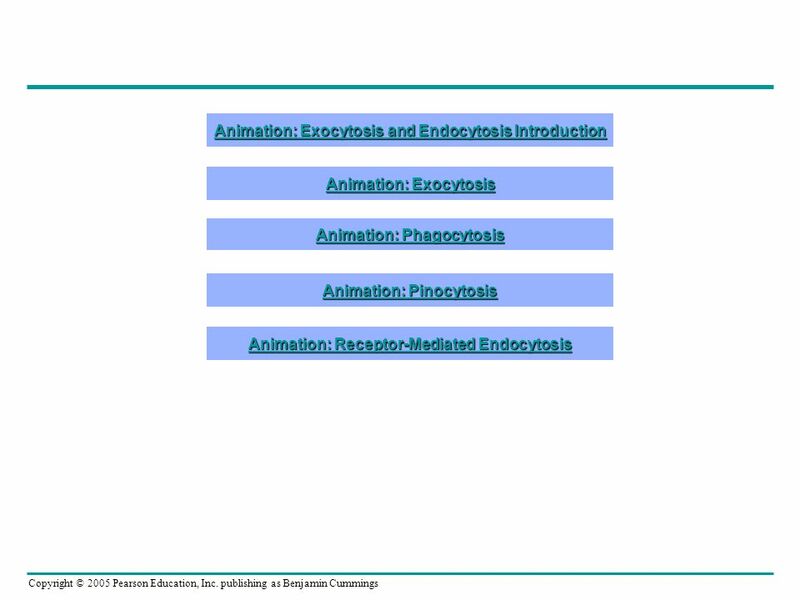 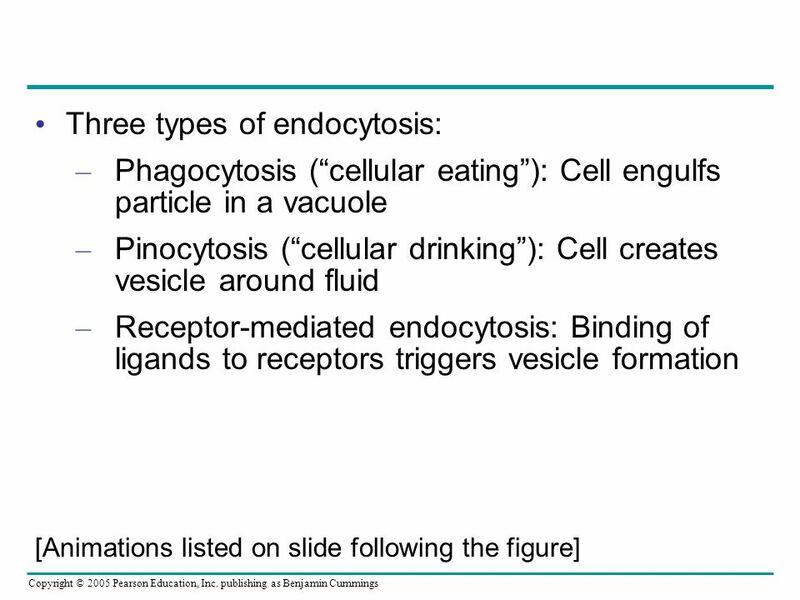 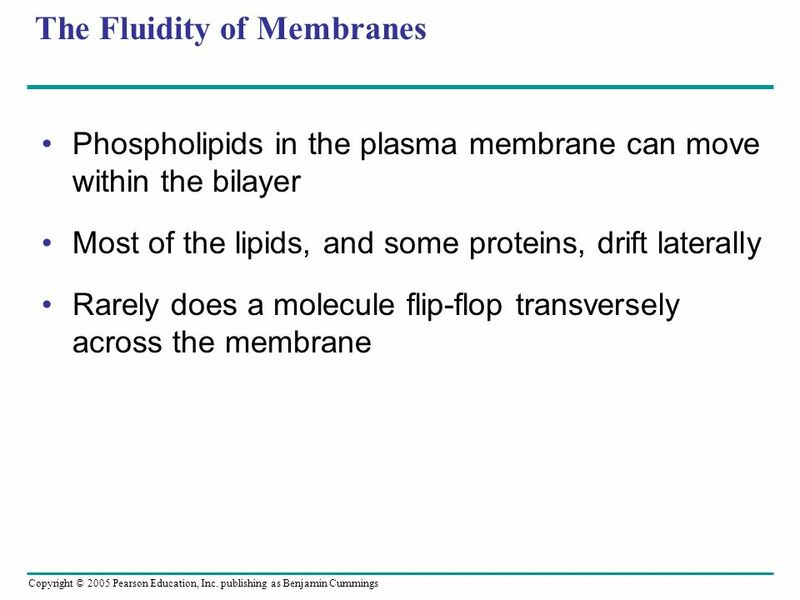 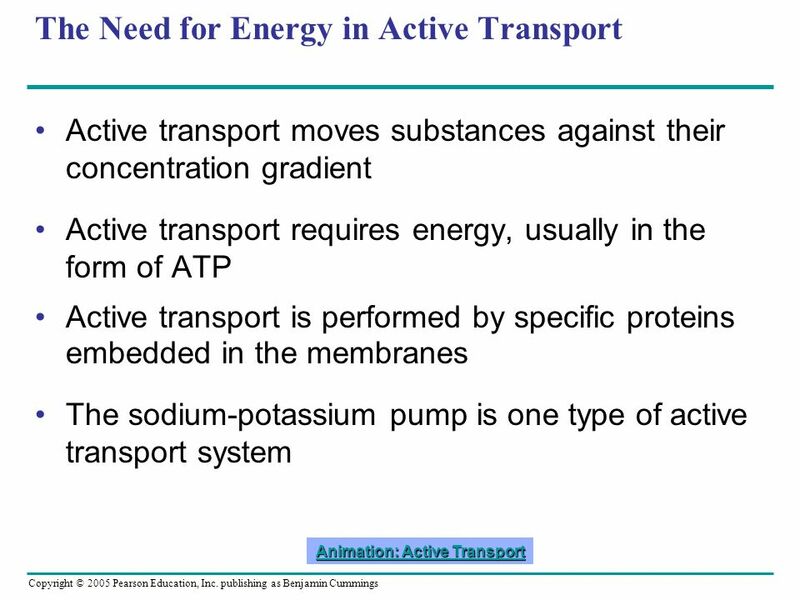 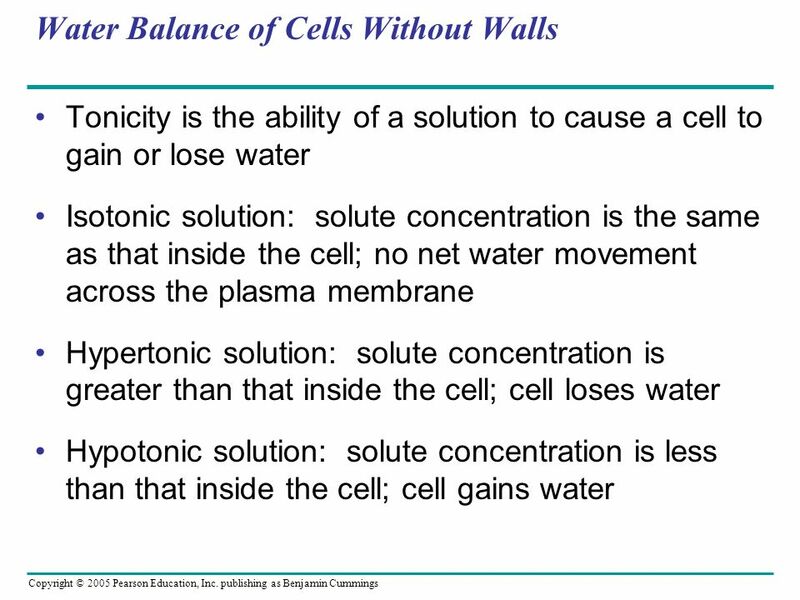 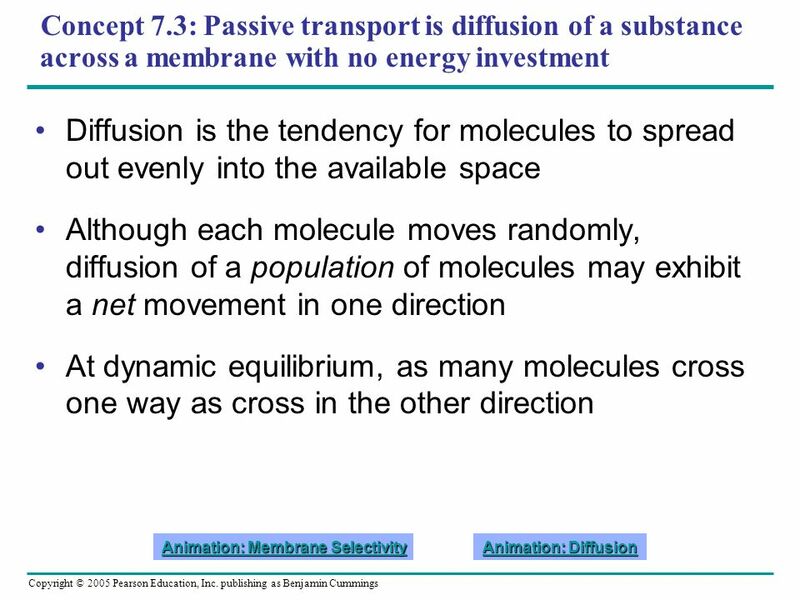 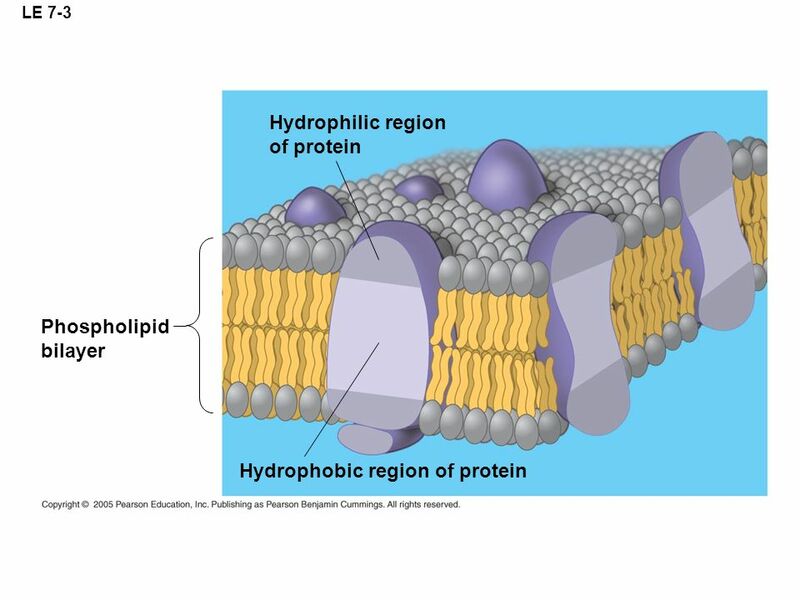 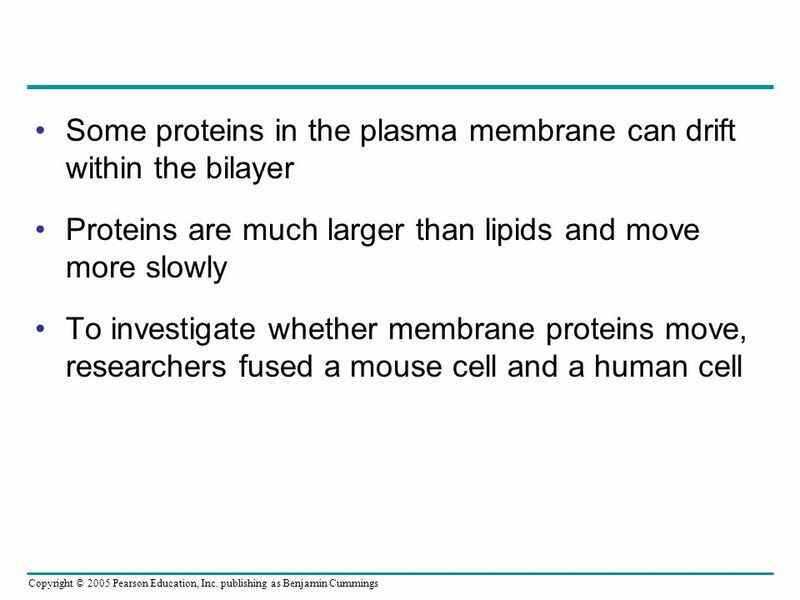 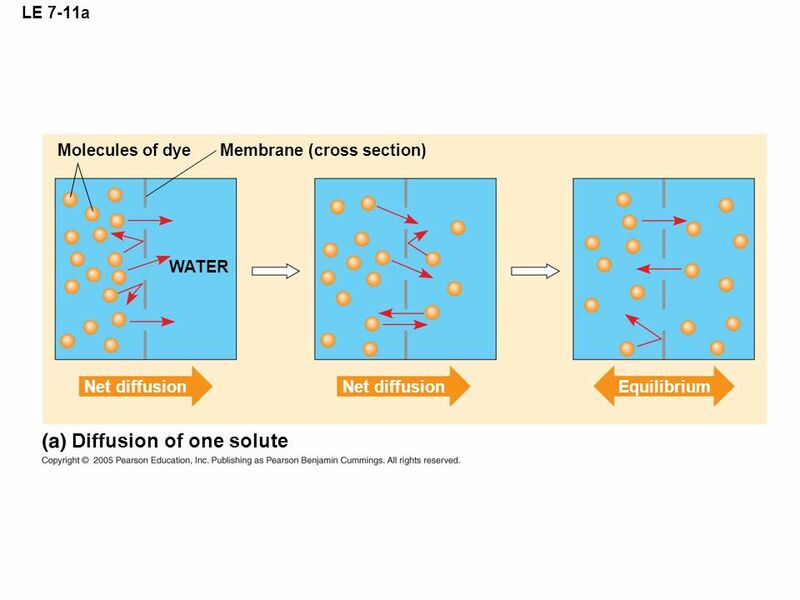 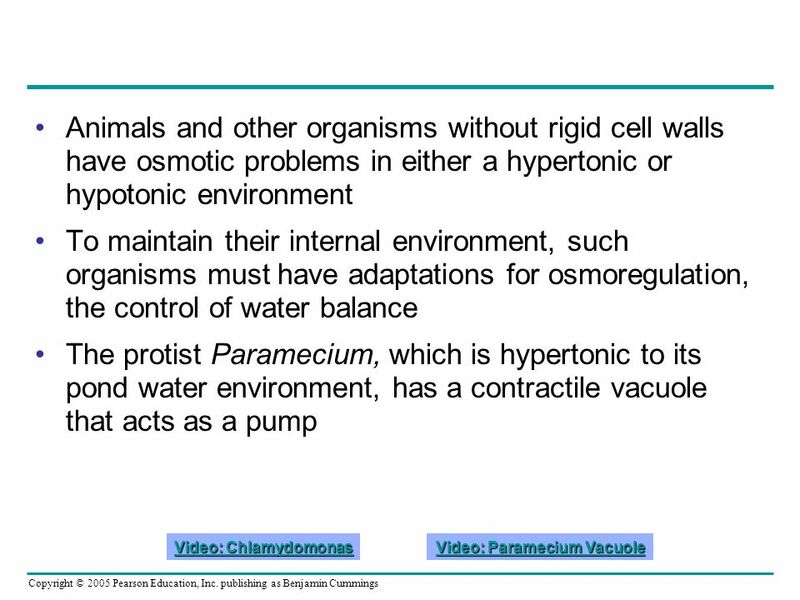 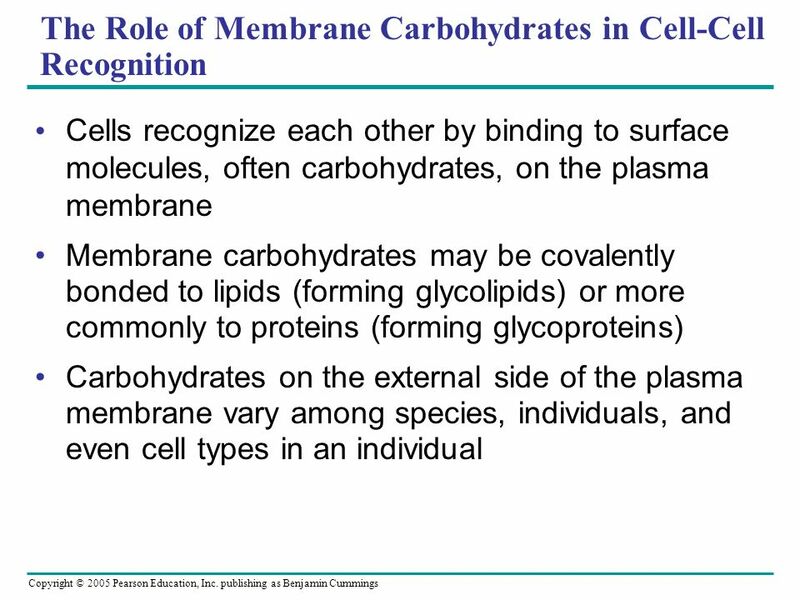 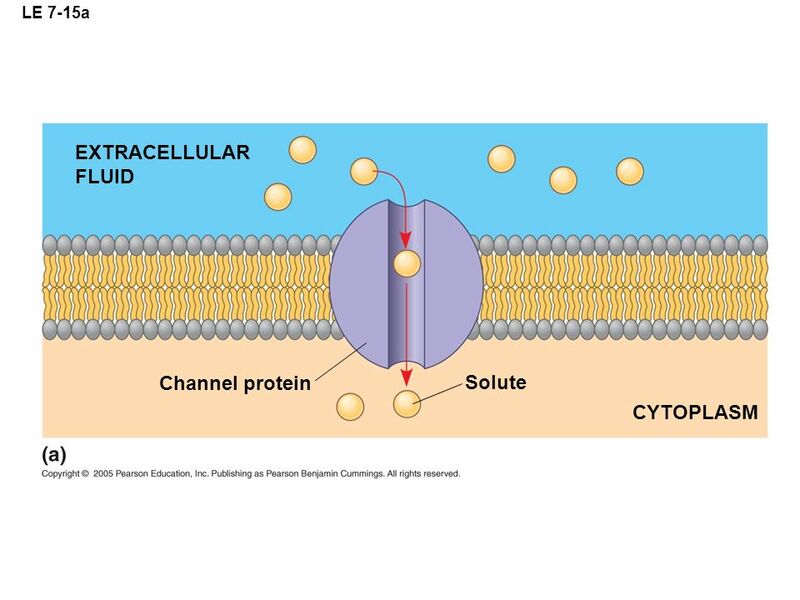 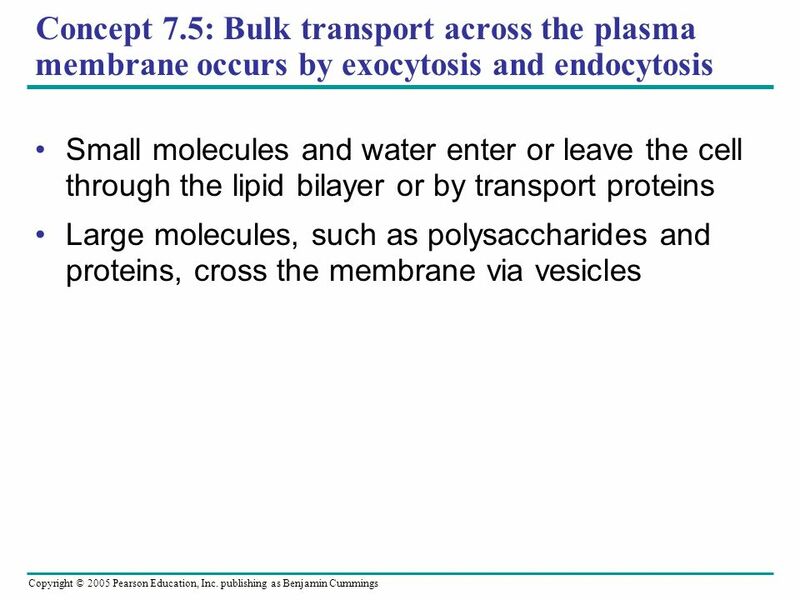 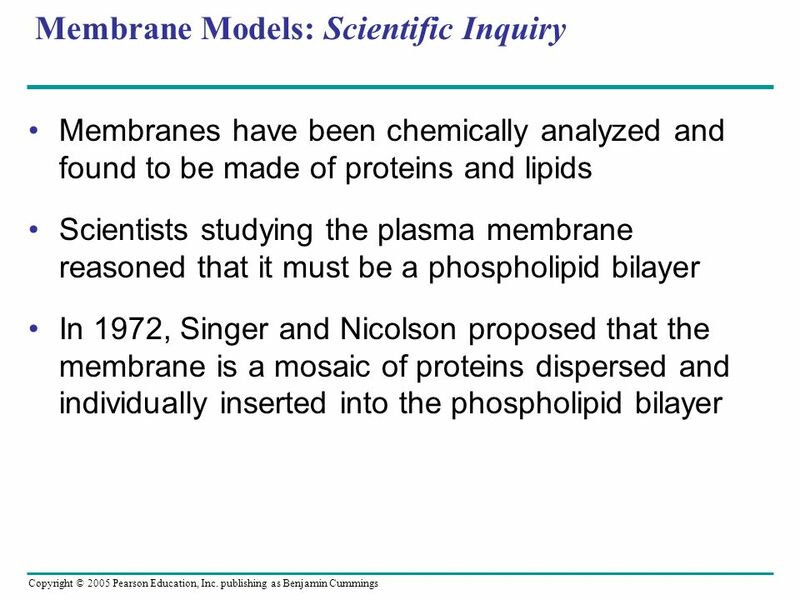 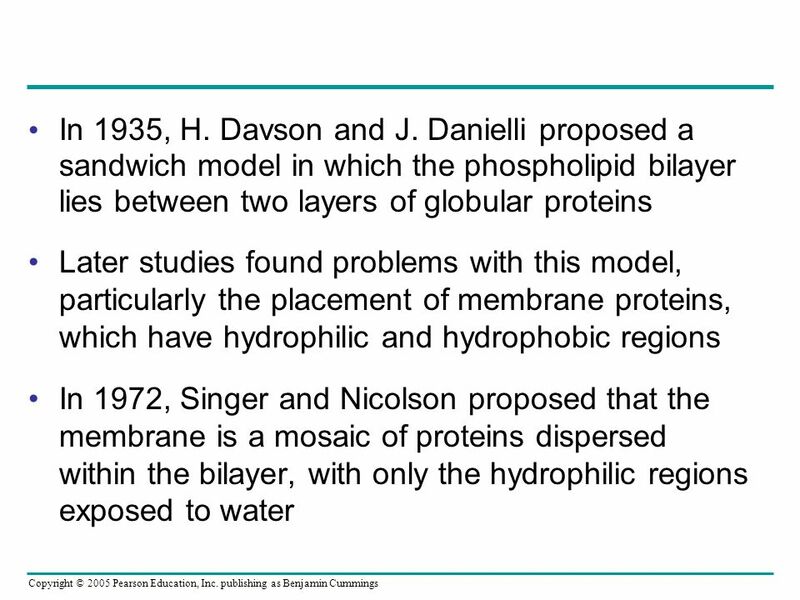 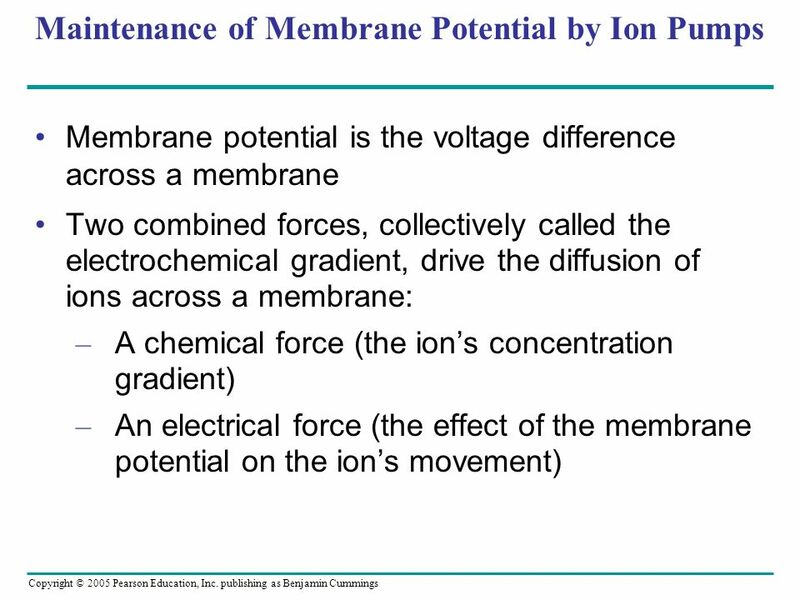 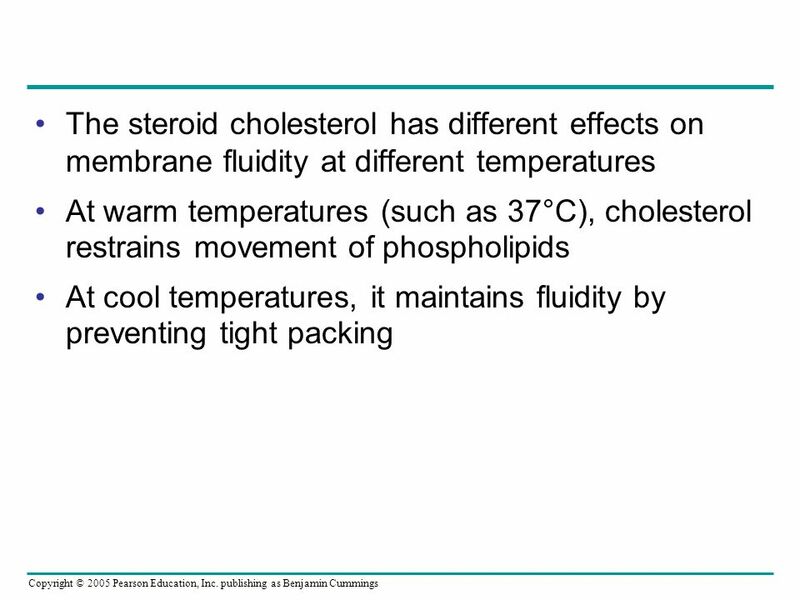 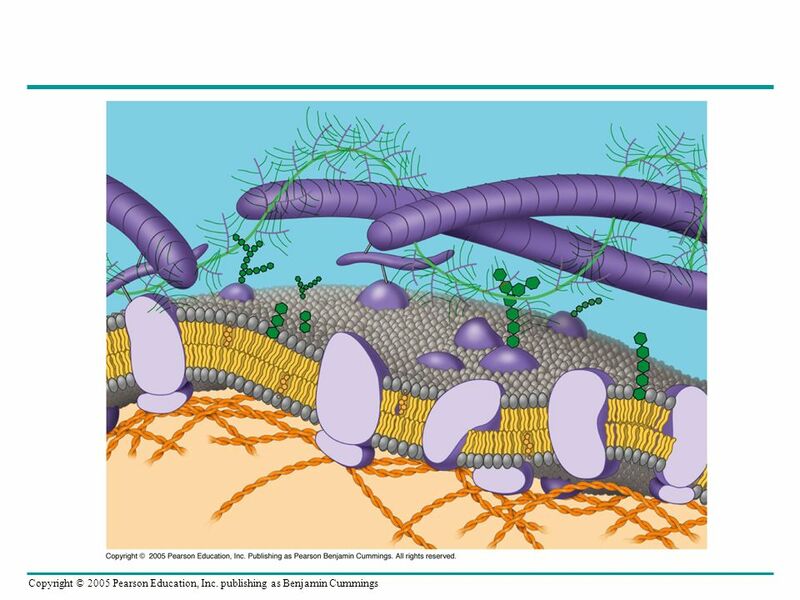 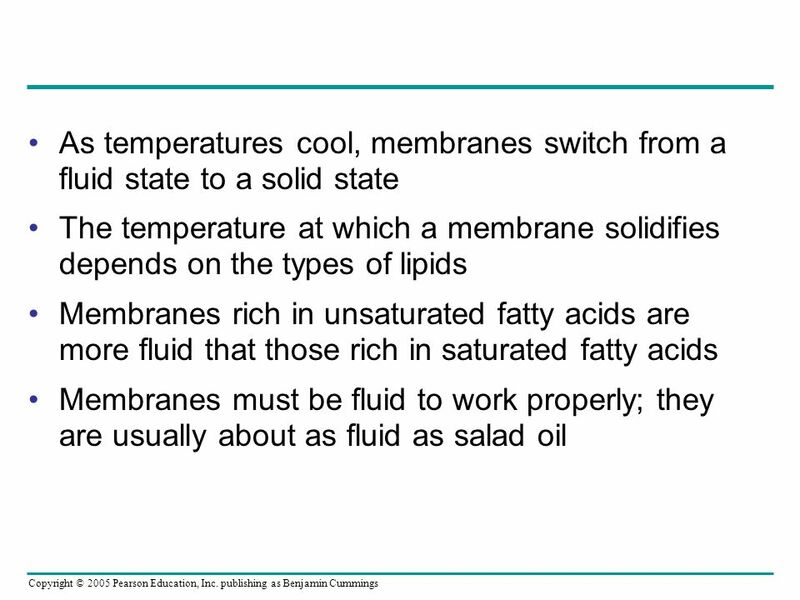 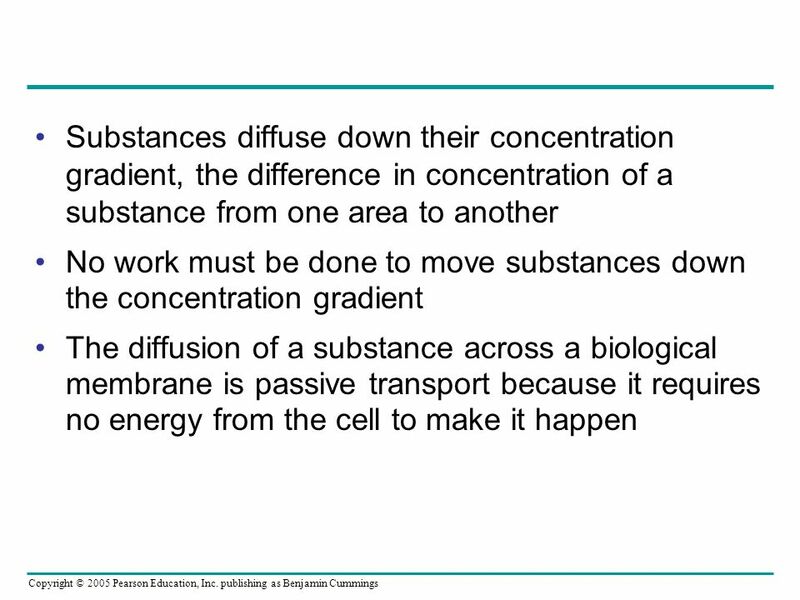 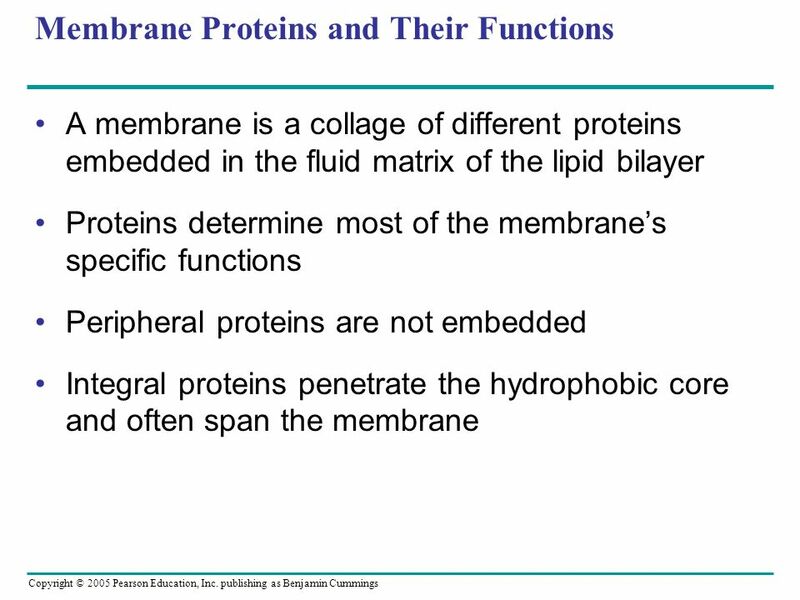 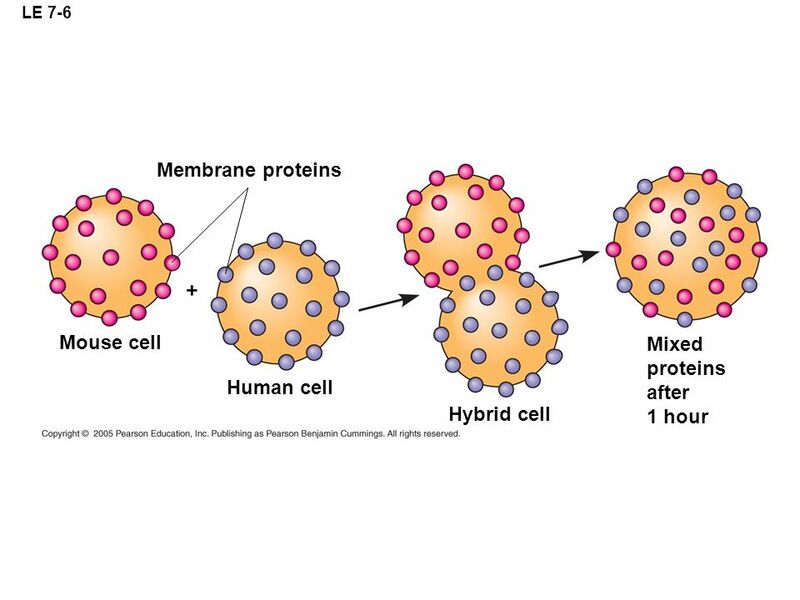 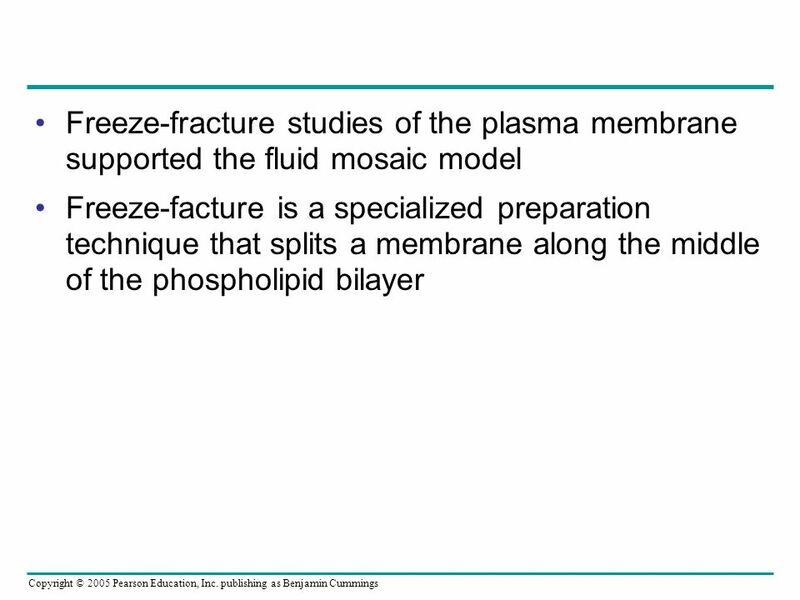 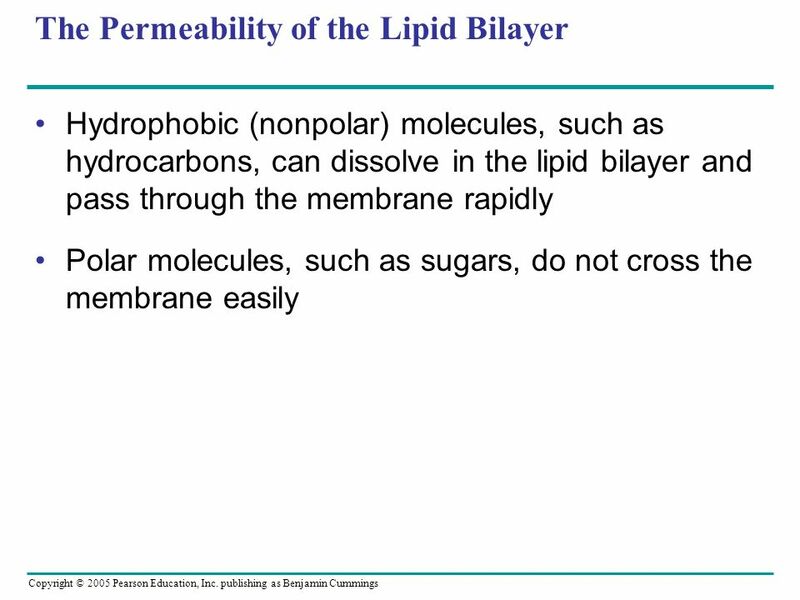 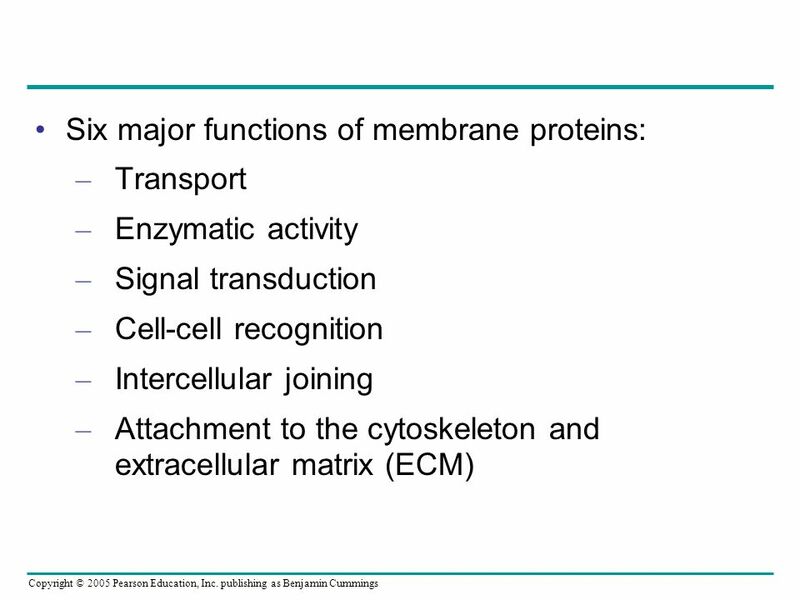 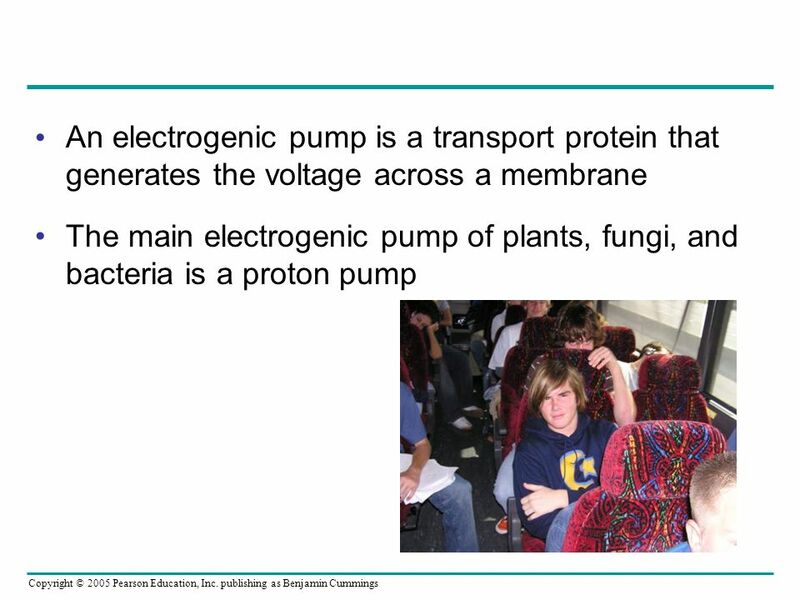 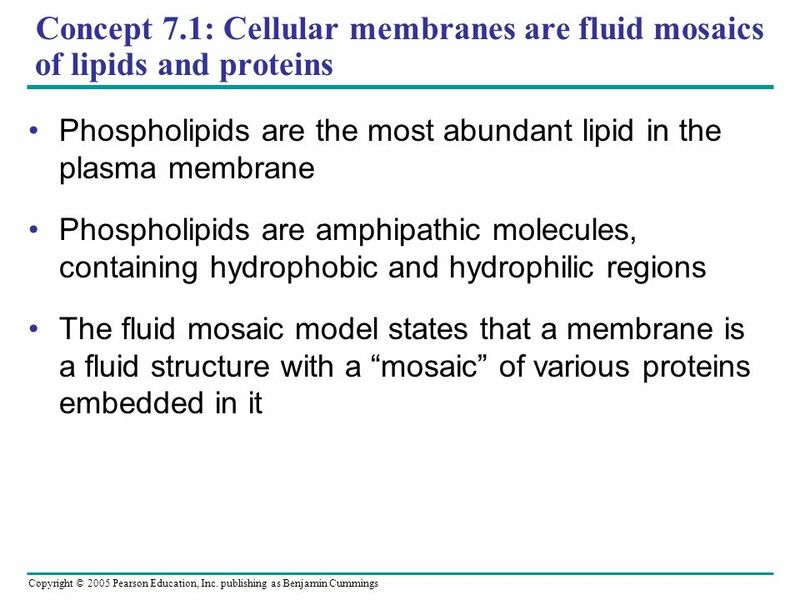 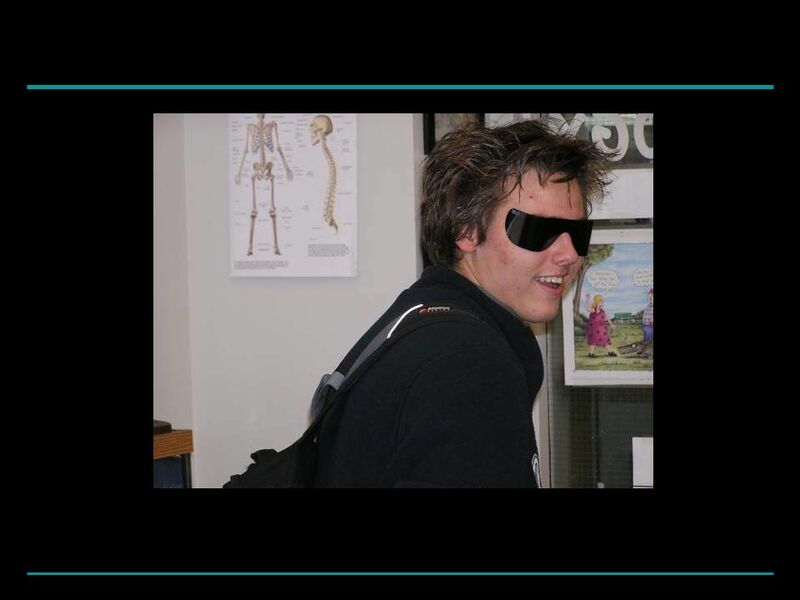 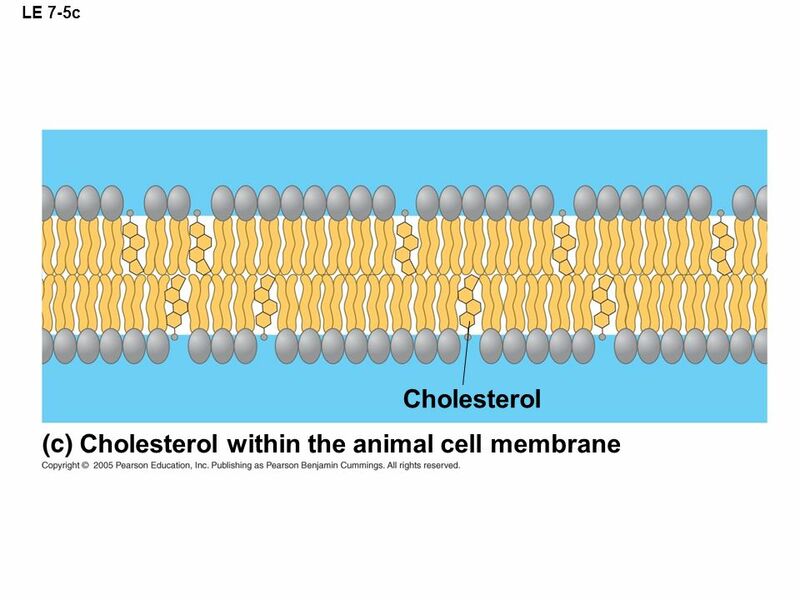 Download ppt "Membrane Structure and Function"
The Cell Membrane AP Chapter 7. 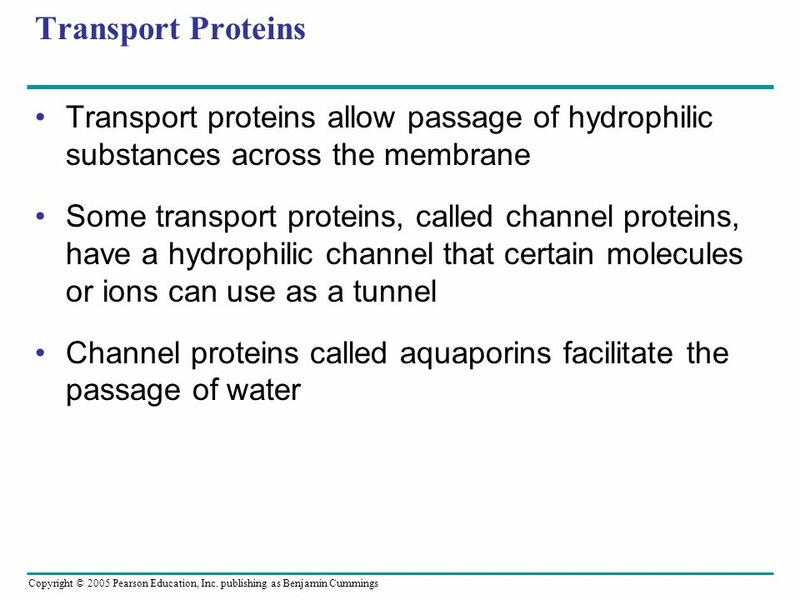 Chapter 7 Membrane Structure and Function. 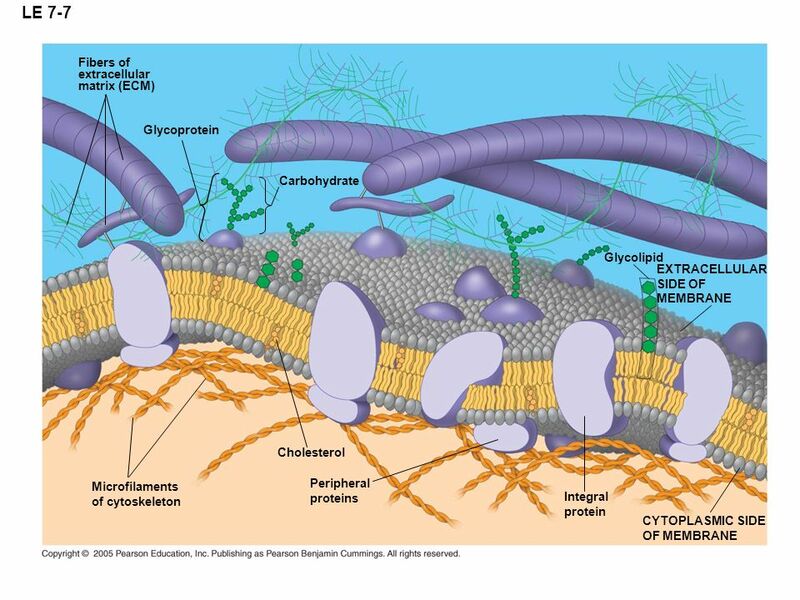 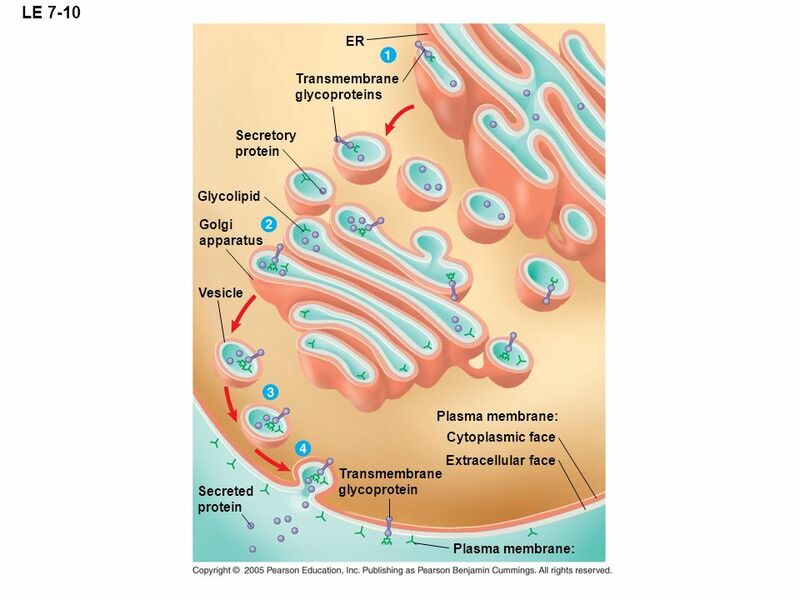 Overview: Life at the Edge The plasma membrane is the boundary that separates the living cell from its surroundings. 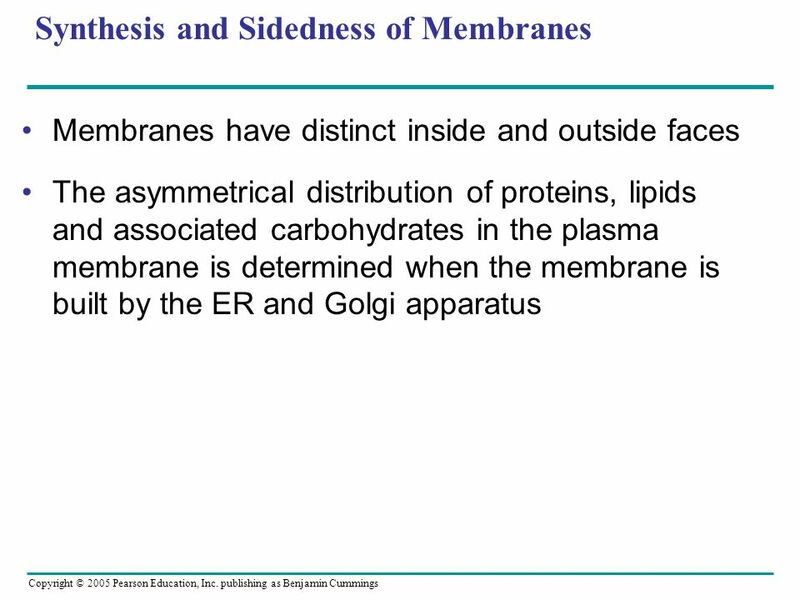 Membrane Structure & Function cont. 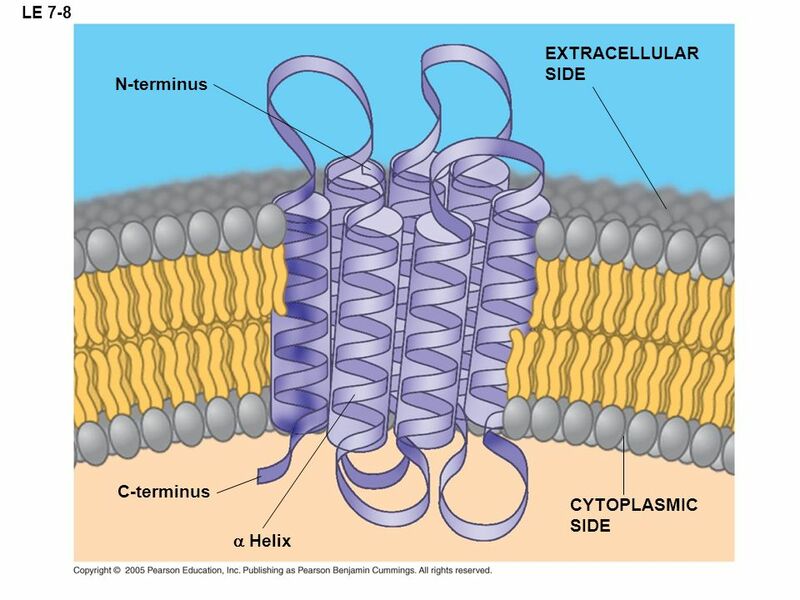 I. Membrane Protein Function II. 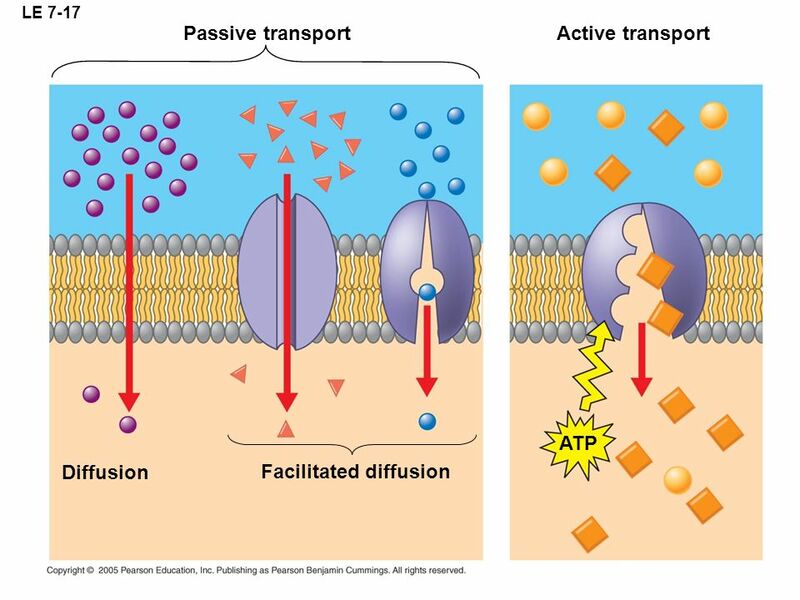 Cellular Transport. 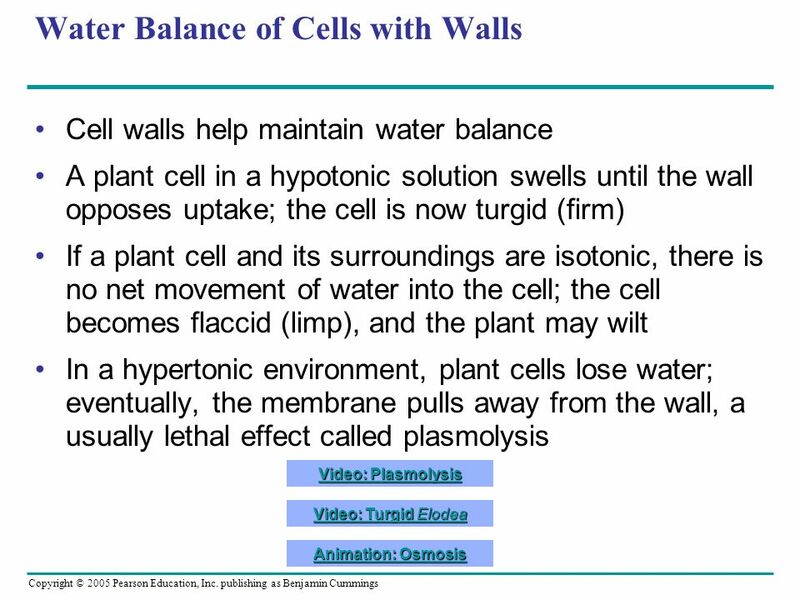 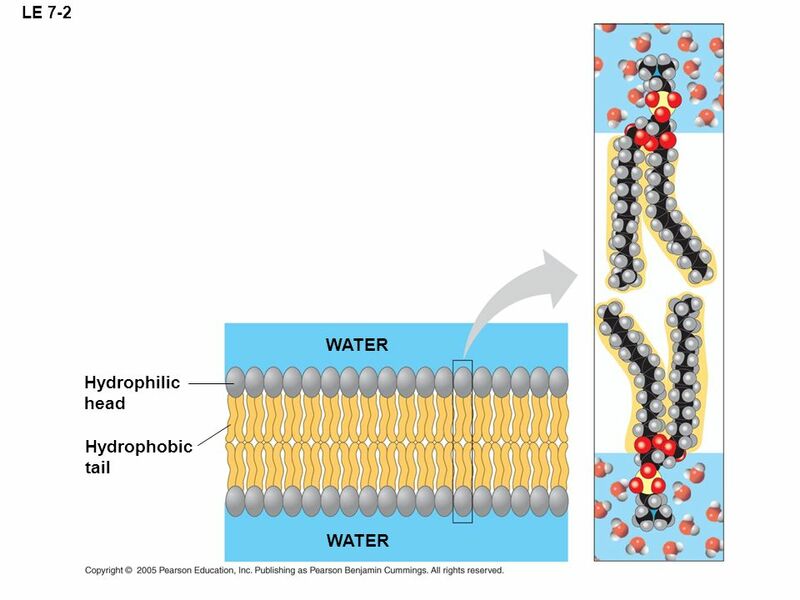 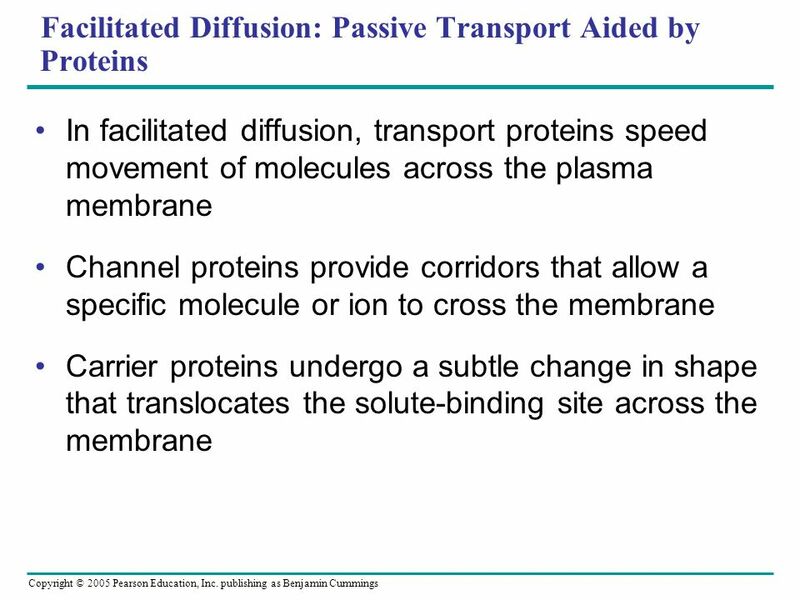 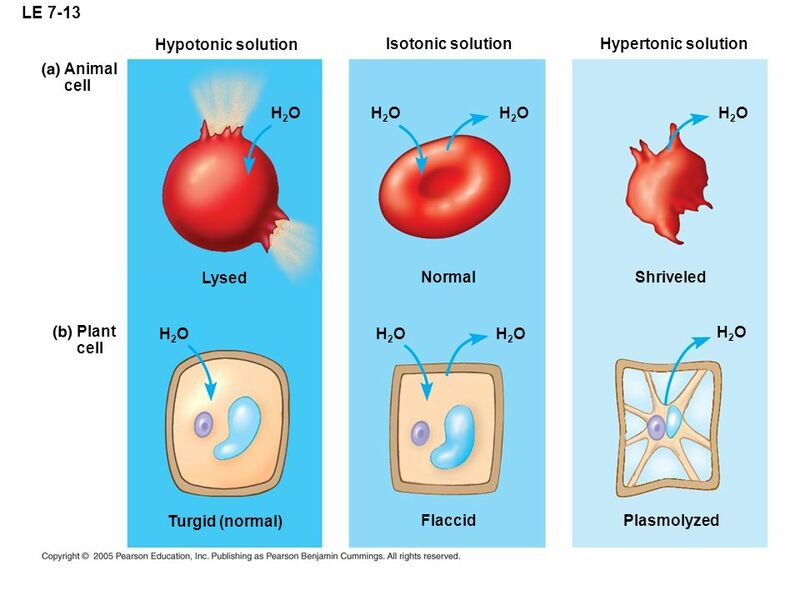 The Plasma Membrane Fluid Dynamics and Cell Transportation. 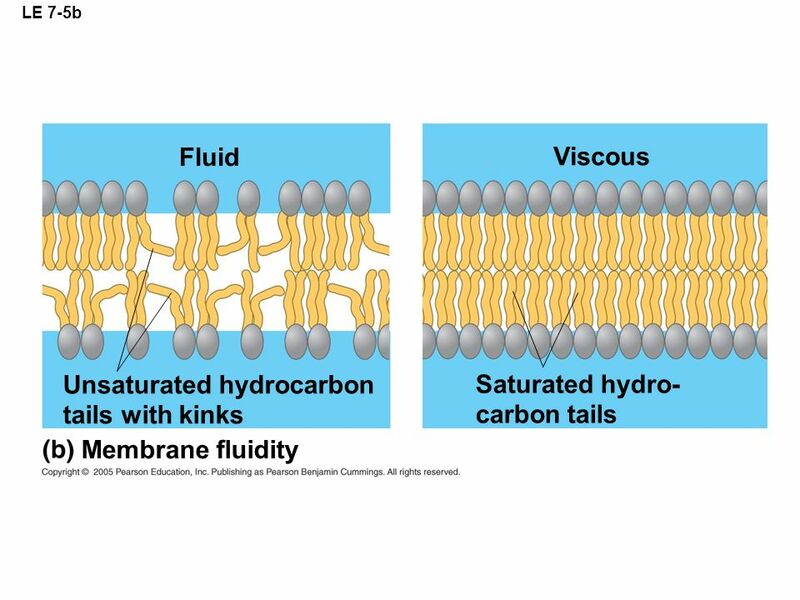 WATER Hydrophilic head Hydrophobic tail WATER. 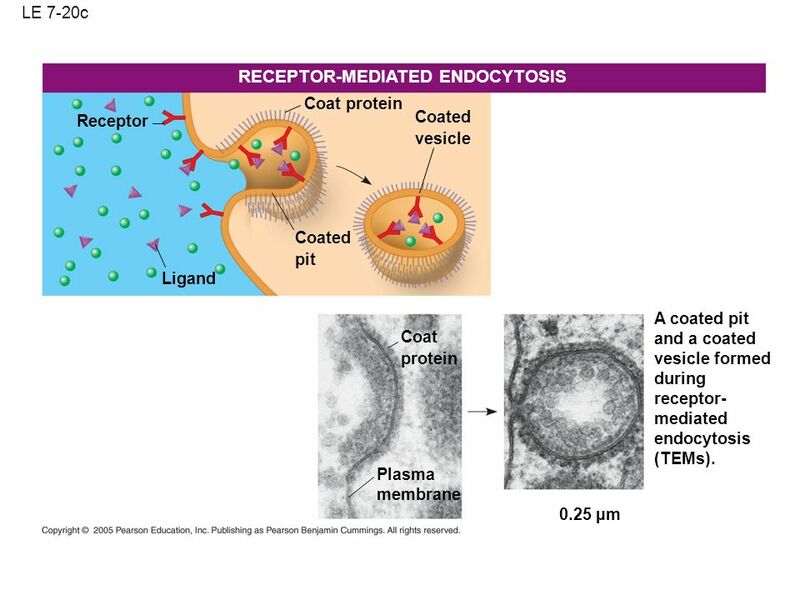 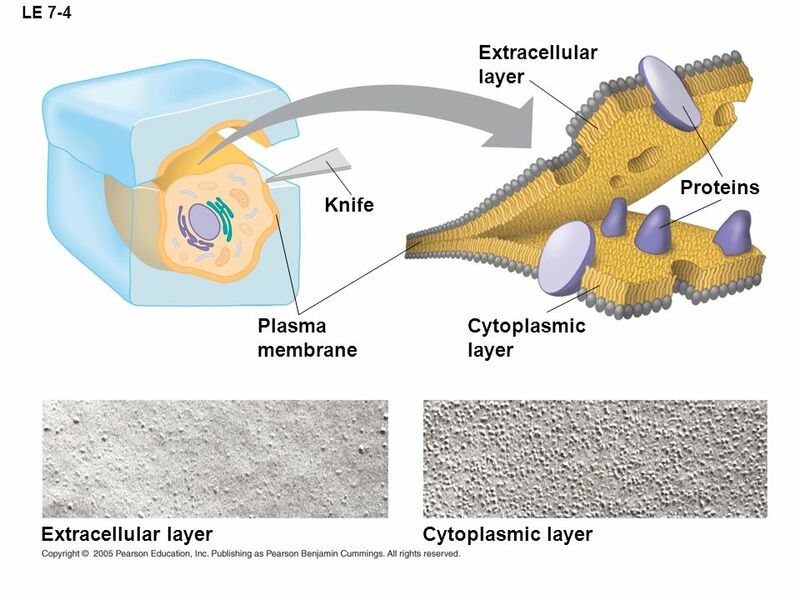 Overview: Life at the Edge The plasma membrane is the boundary that separates the living cell from its surroundings The plasma membrane exhibits selective. 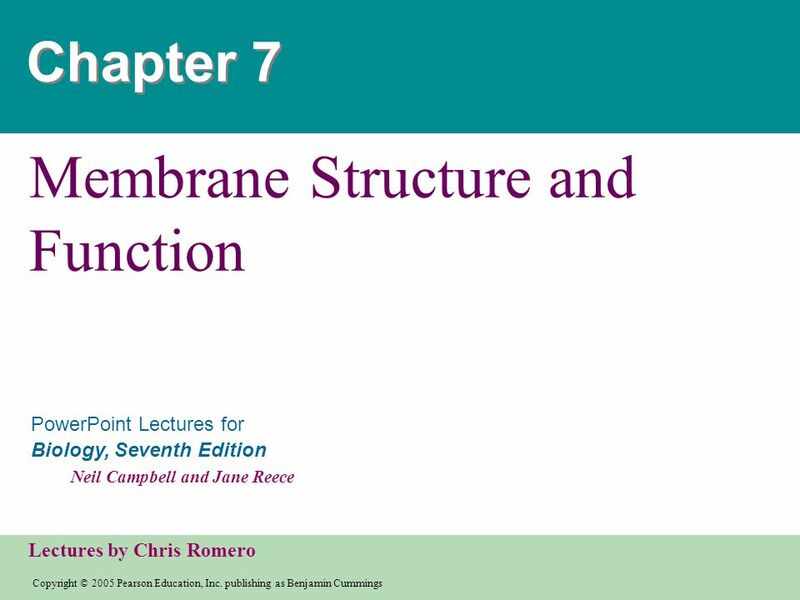 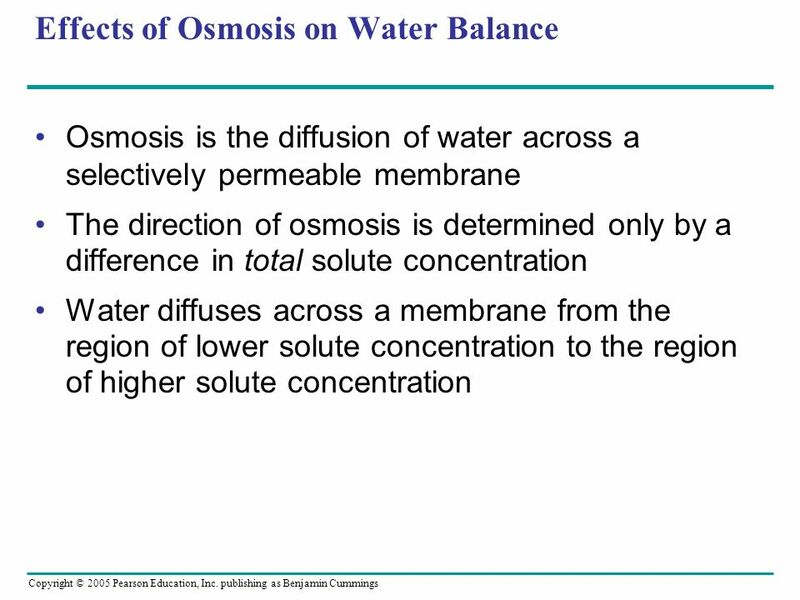 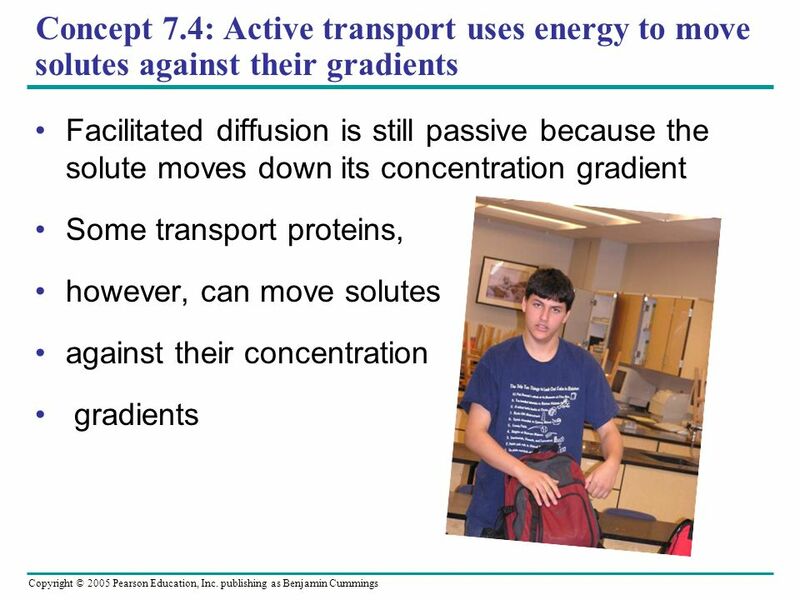 Chapter 7: Membrane Structure and Function. 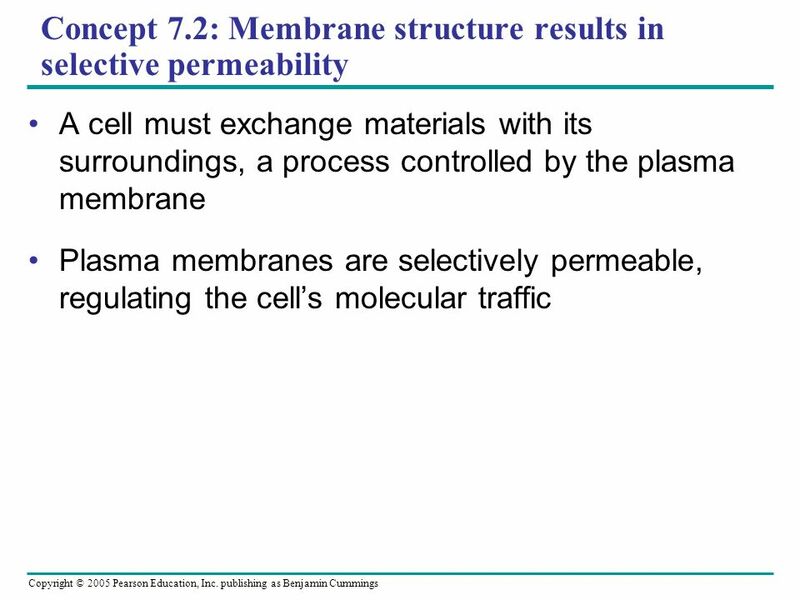 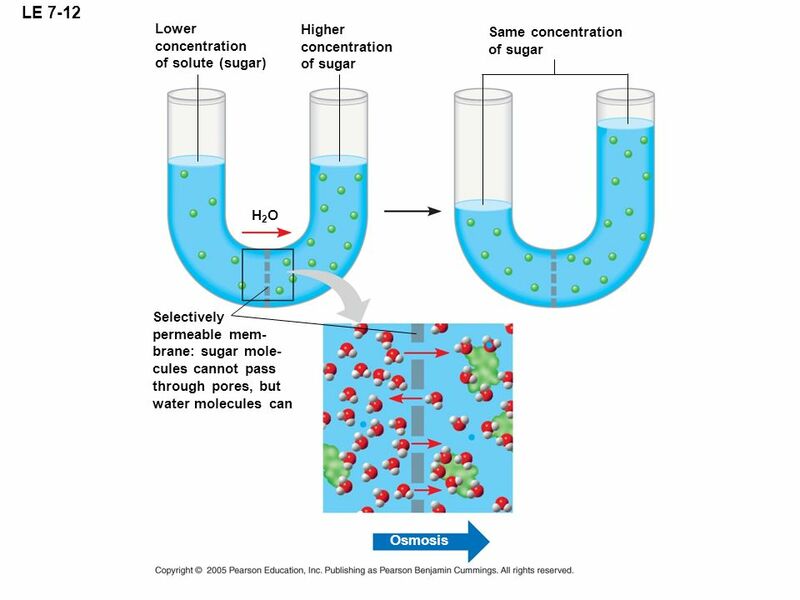 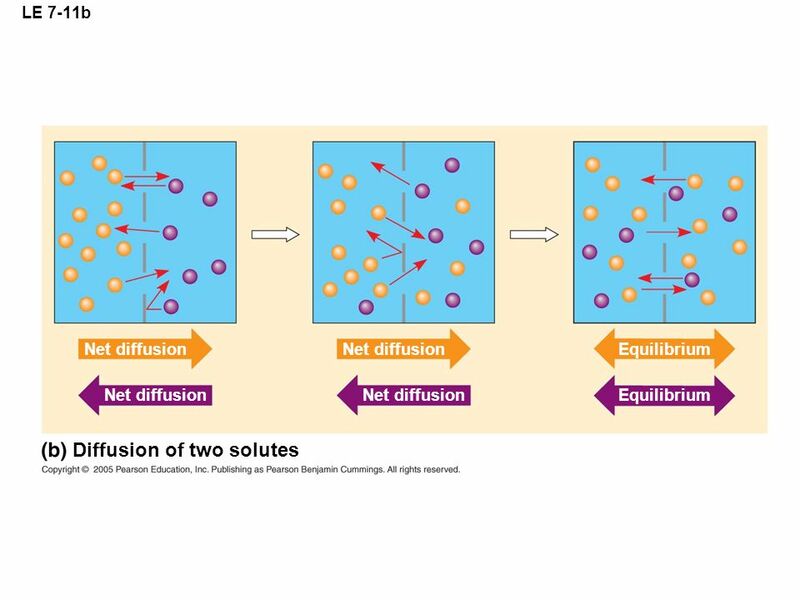 Selectively Permeable membranes allow some materials to cross them more easily than other which enables the. 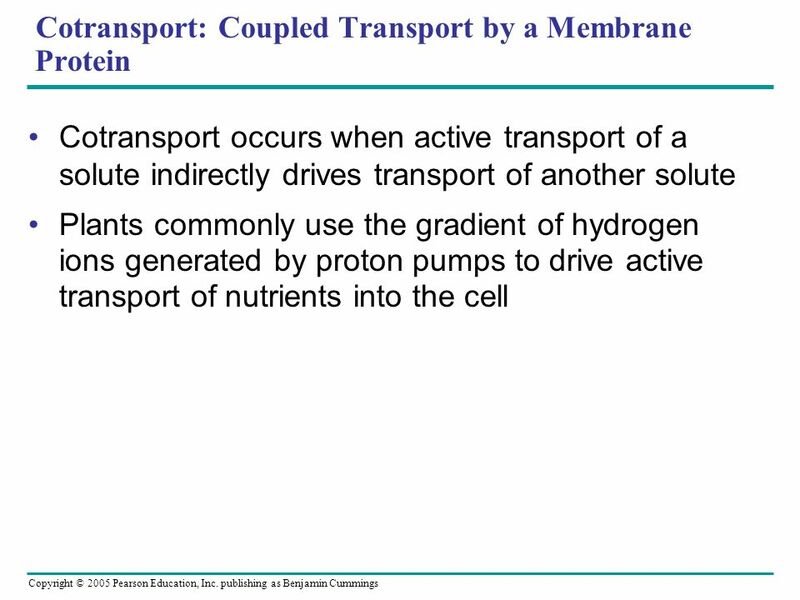 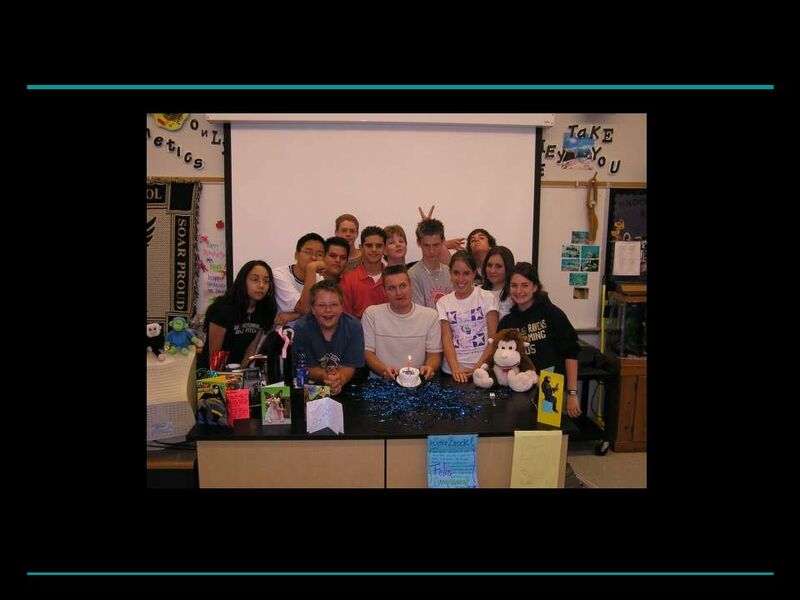 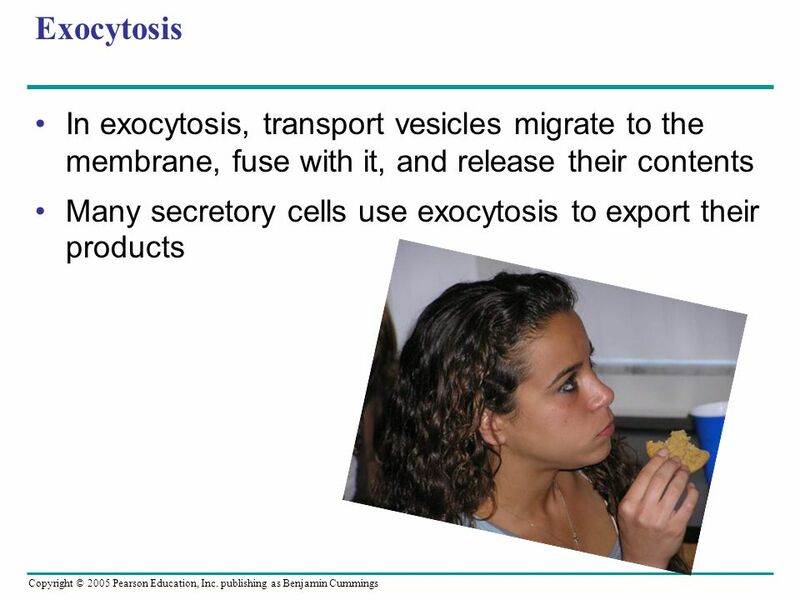 Chapter 7: The Cell Membrane. 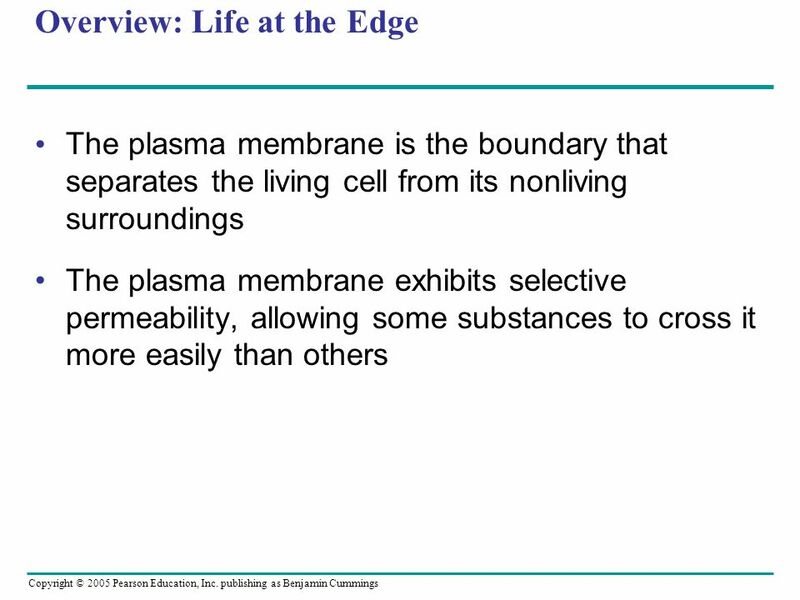 Overview: Life at the Edge Plasma membrane- the boundary that separates the living cell from its surroundings The plasma.